In the basement of a building constructed with NASA funds in the early 1960s, scientists already are preparing to study the sample from OSIRIS-REx, a first-of-its-kind mission. In the year 2023, priceless property will land somewhere in the Utah desert. And when it does, a team of engineers and scientists will be waiting on the ground. Thousands will watch the landing with eyes glued to smartphones and televisions. Headlines around the world will tell of the journey. The property? Between 2 and 70 ounces of asteroid dirt. This 4.5-billion-year-old sample, formally known as regolith, will look like a small pile of dusty rubble, gleaned in the five-second moment during which NASA’s OSIRIS-REx spacecraft vacuumed the surface of a carbon-rich, near-Earth asteroid called Bennu. The sample’s encapsulated landing at the Utah Test and Training Range, about 80 miles west of Salt Lake City, will begin a new phase in its existence: analysis. After being transported to the Johnson Space Center in Houston, the dirt will be removed from its capsule and allocated to scientists for study. OSIRIS-REx is the first U.S. mission to return an asteroid sample to Earth, but for scientists such as Tom Zega, the return is just the beginning. Zega is a sample scientist at the University of Arizona. As a collaborator on the UA-led OSIRIS-REx mission, he will be one of the first scientists to analyze regolith from Bennu. 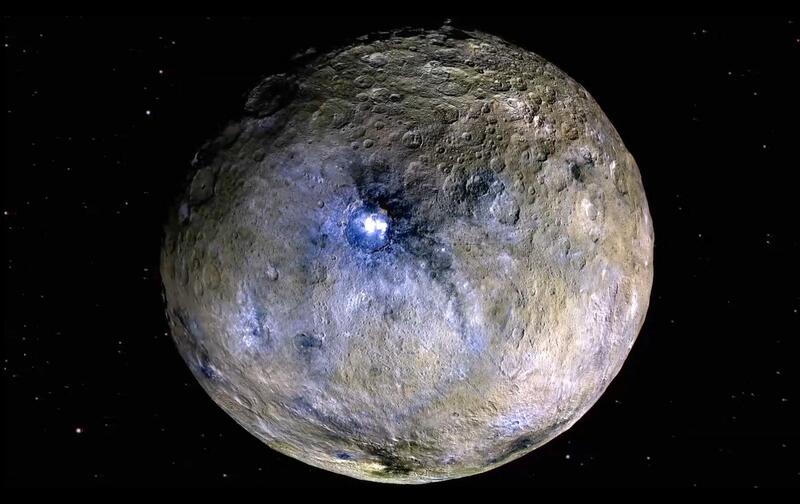 One of the main goals of the OSIRIS-REx mission, Zega says, is understanding the earliest history of our solar system and the origins of life. Pristine regolith from an asteroid might be our best shot, untouched and uncontaminated by our atmosphere. “Sample return is great because otherwise you’re at the mercy of what falls from the sky,” Zega said. “Sample return is a treasure trove of information. You’re getting samples that are older than Earth. I can literally hold in my hand a piece of the origins of our solar system that predated Earth, predated human beings, predated everything we know. The question, then, is what to do with such a scientifically valuable pile of dirt. Zega does his work in the 5,000-square-foot basement of the Kuiper Space Sciences Building, constructed at the UA in 1964 with funds from NASA. The basement once was a mirror lab for telescopes and a publications vault. Telescopes got bigger, and so did the lab, which now lives beneath Arizona Stadium. Publications went online. Now the UA’s collection of high-tech electron microscopes — to be used for studying the returned asteroid dirt — lives here. Sensitive to stimulus, electron microscopes need a place with minimal vibrations, minimal electromagnetic interference and good acoustics. As it turns out, basements make good places for these microscopes. As of today, the lab is “ready to hit the ground running” when the sample from OSIRIS-REx shows up, according to Zega. In fact, the lab is in the process of studying a sample from Hayabusa 1, an asteroid sample return mission by JAXA, the Japanese equivalent of NASA. Like OSIRIS-REx, Hayabusa 2 is now cruising toward its target, which is the asteroid Ryugu. Zega opens the two frosted doors of the laboratory, revealing a long, clean, fluorescent-lit corridor. At the end of the corridor in a room on the left is where the asteroid sample’s time in the lab will truly begin. After it’s mounted on a glass slide and polished smooth, Zega will place the sample in an electron microprobe. “The microprobe gives us the most context, and a lay of the land,” Zega says. It allows him to photograph the entire sample in high resolution and map out its chemistry, element by element. Those elements, such as iron and nickel and magnesium, show up as colors on a computer screen. “You want to sit down and really process that data,” Zega says. “You might want to play around with the maps and overlay them onto the high-res images that you also created before you decide what the next step is. That can take some time. Then, all the way at the other end of the corridor, near the doorway, there are two scanning electron microscopes. Like the microprobe, they also image and chemically map the sample, but at an even more detailed level. Here, Zega can look at the dirt in micrometers and nanometers — a billionth of a meter. A single sheet of paper is about 100,000 nanometers thick. In the room next door, a focused-ion-beam scanning-electron microscope can look at the sample in even greater detail. 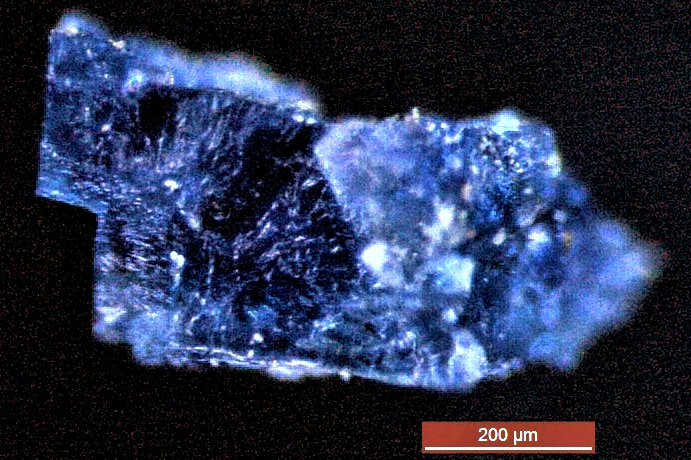 It also can drill a hole in a piece of dust from the asteroid by shooting gallium ions at it, like tiny bullets. “Every atom has something to tell us,” says Zega, walking toward the final destination for the asteroid sample: the transmission electron microscope, or TEM. It’s a towering box of off-white and blue, about 12 feet tall. There’s an innate humor in its size, because a TEM is the only machine in the world that can see something as tiny as an individual atom. The TEM, purchased from Hitachi High Technologies in 2016, was shipped by boat from Japan months ago. A team of engineers from the company’s headquarters outside of Tokyo have been here since November, installing and calibrating the microscope. They are expected to head home in June. “Looking at microstructures is useful for figuring out origins,” Zega explains. Which atoms of an element are next to, or layered on top of, which other atoms is critically important when you want to determine how something formed. In the best-case scenario, analyzing the asteroid dirt means “we rewrite the textbooks on our understanding of the origins of our solar system,” Zega says. “I think that’s the neatest thing about a mission like this. It can be full of surprises. TEM and FIB analyses are carried out at the University of Arizona Kuiper Core Imaging and Characterization Facility supported in part by NSF Grant 1531243 and NASA Grants NNX15AJ22G and NNX12AL47G.